This S-Type 3.8 Manual plus Overdrive saloon was originally supplied and registered in Jersey in the Channel Islands in March 1965 and made its way back to the mainland in 1971. 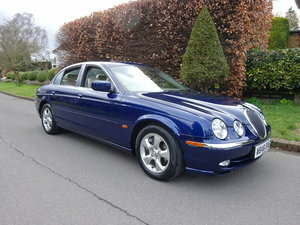 The Jaguar Heritage Certificate that accompanies the car confirms its colour as Green. Overall this example is in exceptionally good condition and has clearly been well cared for. The Jaguar S-Type was produced by Jaguar Cars from 1963 to 1968. It was a technically more sophisticated development of the Mark 2, offering buyers a more luxurious alternative without the size and expense of the Mark X. The S-Type's interior reflected the styling of the Mark X but included features particular to the S-Type. Changes to the rear seat accommodation gave the impression of far greater room than in the rear of a Mark 2 and changes to the front of the cabin also gave the impression of greater luxury. Major changes were made to the S-Type's steering system. In the S-Type it was replaced by a higher-geared Burman unit of 3.5 turns lock-to-lock, which linked the input shaft and hydraulic valve by a torsion spring. The heating and ventilating system of the Mark 2 was not considered adequate for the more upmarket S-Type and was replaced with an improved system. Separate control of ventilation direction was provided for both driver and front seat passenger. Warm air could also be directed to the rear passengers through an outlet situated on the propeller shaft tunnel cover between the two front seats. The performance figures claimed at the time for the 3.8S manual/overdrive were 0–60 mph 10.3 sec and Maximum speed 125 mph. 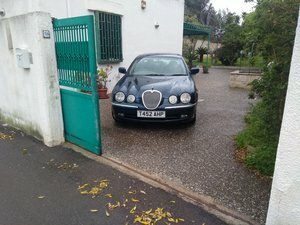 We have on file a body of paperwork, photographs and old MoT certificates and letter that confirms that it was acquired by a gentleman in Nairn Scotland in 2012 who kept the car until quite recently; he also purchased the YAS number plate that the car still sports as it related the car to his native Nairn. In January 2017 the car was consigned to Malton Coachworks in North Yorkshire for a thorough mechanical overhaul at a cost of some £3,500 plus an additional £1300 for a replacement clutch, details of the work and the original invoice are on file. 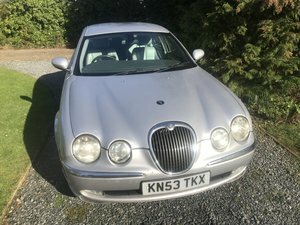 In our opinion the S-Type is a worthy alternative to the more expensive Mark 2, firstly it is a rare car and secondly its has mechanical improvements that make for easier driving. In 3.8 guise the car is no slouch. 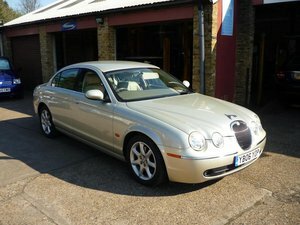 This Jaguar S-Type will be sold with the benefit of the Arun Classic Car Charter, details of which will be provided at sale.